Laszlo Emberek is caught between two worlds: the bucolic life of a shepherd, tending his family's small flock of sheep with his beloved dog, Gizi, and the secret life of his parents, who can "change" into wolves at will. 13-yr-old Laszlo knows his change will come soon. But when his family's secret is discovered by a village girl -- a ward of the evil and corrupt priest, no less -- Laszlo must decide how he wants to live. Can he trust himself to remain compassionately human as other, wilder instincts overcome him? And are humans truly less dangerous than the wolves they hate with such passion? Patrick Jennings was born in Crown Point, Indiana in 1962; He graduated from Arizona State University in 1985 with a bachelor of fine arts. He has taught preschool and English as a Second/Other Language to adults. In 1993 he lived in San Cristobal de las Casas, Chiapas, Mexico where he taught English as a Foreign Language to students, ranging in age from preschoolers to adults. Afterwards Patrick moved to Bisbee, AZ where he worked afternoons in the library, dedicating the rest of his working time to writing and doing activities (readings, storytimes, art activities) with children. One of his goals in visiting schools is to help children realize the value of their education and creative potential. His daughter, Odette, was born in April 1999, and he has happily been dividing his time between caring for her and writing. 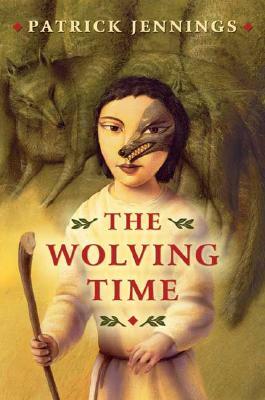 Gr 5-8-Near the end of the 16th century, Laszlo Emberek, 13, leads a seemingly idyllic life as a poor shepherd to his family's tiny flock in the French Pyrenees-at least until a wolf appears nearby. He whistles to signal his mother, who comes running, only to throw off her clothes, change into a wolf, and go romping off into the distance. That's right-Jennings spins this interesting historical yarn about a family of werewolves who make their living herding sheep. This tale is no comedy, though, but rather a compelling, thoughtful story. When Laszlo discovers that Muno, an orphaned Basque girl whose parents were executed as witches, has witnessed his mother's change, he worries that she won't keep the family's secret. Cultural, historical, and geographic details make for interesting reading. Also compelling is Laszlo's desire to come of age, to join his parents in making the change. His first journey to the village alone, his first change into a wolf, and his first experience of caring about another young person are all well rendered. Readers are likely to identify with the werewolf metaphor, which evokes the physical and emotional changes that adolescents experience. The exciting climax sees justice served, with Laszlo realizing the preciousness of life and his family secure with hopes for a new and safer life in a new village.-Joel Shoemaker, Southeast Junior High School, Iowa City, IA Copyright 2004 Reed Business Information. Jennings (Faith and the Electric Dogs; The Beastly Arms) demonstrates a superb diversity of style and characterization with this gripping tale of a family that can turn into wolves, set in 16th-century France. By choosing this era, the author probes the tenets of Christianity and the corruption of the church at a time when purported witches were burned at the stake. Born into a long line of shepherds, 13-year-old Lazlo lives with his family off by themselves, isolated from the townspeople, due to their foreign accent and ways. His mother and father possess an advantage in their vocation: they can transform into "loup-garou" (what the French called werewolves) to negotiate with wolves in the neighboring pack and protect their flock. When Muno, an orphan girl Lazlo's age, witnesses his mother's transformation while running away from her warden-the town's evil priest-Lazlo realizes that she knows the truth. Yet his desire for a friend impels him to conceal from his parents both Muno's knowledge of their secret and the growing hostility in the village toward them. Taking on the mindset of his characters, Jennings appeals to readers' senses, especially as Lazlo finally chooses to change into a wolf and "the softly fragrant forest... was now a place noisier and smellier than the village square." In contrast to the kindness and integrity of the natural wolves, the "loup-garou" and society's other outcasts, the priest and townspeople emerge as the bestial creatures. This page-turner delivers a fascinating commentary on what constitutes true goodness. Ages 12-up. (Oct.) Copyright 2003 Reed Business Information.